At the Moomin House Cafe, no one is ever left to eat alone. 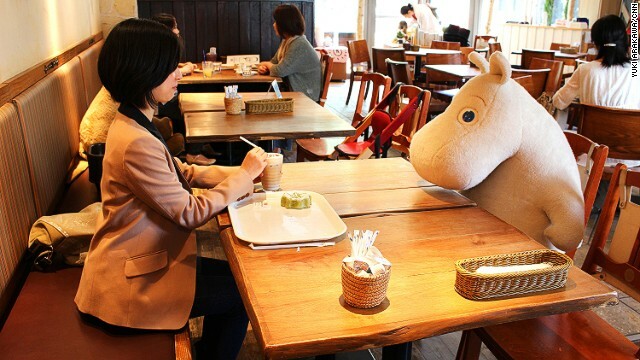 At this eatery, solo customers are paired with a plush, stuffed Moomin – a fantastical character from the popular Finnish children’s book series – while they dine on traditional Japanese fare or Finnish-inspired dishes…many of which are “Moomin” character shaped. There are now three Moomin Cafe and Bakeries around Japan. Read more about the cafe and the Moomins at CNN.